Dr. Bob Seligman was born in Oneida, NY and was raised on Long Island. He was a graduate of Copiague High School, where he dreamed of one day becoming a Chiropractor. After receiving a Bachelors of Science from New York Institute of Technology his dream came true. 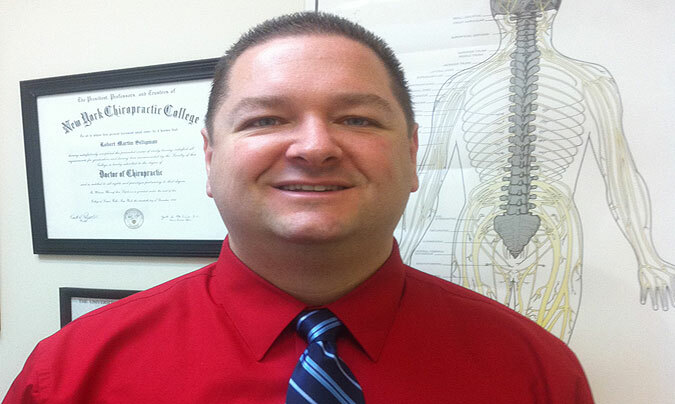 Dr. Seligman was accepted to and graduated from New York Chiropractic College (NYCC). He was given the degree at Doctor of Chiropractic in December of 1996. Dr. Bob is married and the father of two sons. He lives in North Bellmore, NY. After graduation from NYCC, Dr. Seligman worked for a few years on Long Island. In March of 2001 he joined the practice of Dr. Jeff Mollins in Brooklyn Heights, NY. Dr. Seligman is certified to treat all Workers’ Compensation patients, No-Fault/ personal injury patients as well as Medicare patients. Together with Dr. Mollins, Dr. Seligman specializes in the treatment of patients that have been injured at work. Dr. Bob is an expert with the multitude of specific paperwork that needs to be filed on behalf of the patients in order for them to be authorized for treatment, x-rays, MRI’s, and all diagnostic tests that may need to be performed. He also provides excellent and caring treatment with personalized treatment programs for each individual patient. Dr. Bob’s number one goal is to return the patient to optimal health so they can return to work and continue to feel good. Dr. Seligman also works with experts in the field of Neurology, Orthopedics, Physical Medicine and Rehabilitation and Pain Management. He can refer any patients that need these services on a case by case basis. All doctors that he refers patients to are Workers’ Compensation Certified. The goal in the office is to provide the patient with the utmost in quality and comprehensive care. As stated earlier, Dr. Bob Seligman is an expert in all the necessary paperwork and forms that EVERY Workers’ Compensation patient needs. 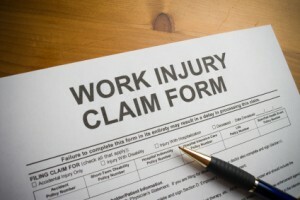 Besides the treatment, the paperwork is one of the most important aspects of a workers’ compensation cases. Being paid for your time out of work is very important and having the correct paperwork and documentation is essential. Dr. Bob will guide you through the process every step of the way to ensure you have the best care and the most comprehensive documentation and paperwork. Dr. Bob Seligman along with Dr. Jeff Mollins, have dedicated their careers to the care of patients in need. They will provide expert and compassionate care to every patient that comes to the office in need. The office is located in Brooklyn Heights, NY. If you are injured stop by and let the Doctors welcome you into their family.